Digital Thermostats | VANKLEEF HEATING AND AIR CONDITIONING , INC. 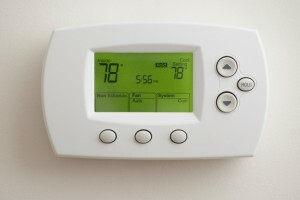 Does a Programmable Thermostat Make a Difference? A manual thermostat is what most of us grew up with. If you are hot you turn the dial down. If you are cold you turn the dial up. When you leave the house for several hours you try and remember to set the temperature to a point where you will save a little energy. Why maintain the ideal temperature 24 hours a day if you are not there to enjoy it, right? You may be happy or satisfied with your manual thermostat. You may be intimidated by the thought of having to program a “smart” thermostat, but here are the facts. You can change the thermostat from your cell phone or tablet. When you look at the life-time stats provided by www.energystar.gov, it is clear that “smart” thermostats are the better choice. Using their data, they present a case study that shows consumers can save as much as $1,800+ over 11-12 years. Call us with your questions and we would be happy to help you find the perfect solution when it comes to your heating and cooling.